RapidKL Bus U689 services between Kelana Jaya LRT Station and Kota Damansara via One Utama. Buses T607, T622, U623, T624, U43 also available at Kelana Jaya LRT Station. Bus U88 also goes to Kota Damansara. So what bus i can use from Kelana Jaya station to Sunway Giza? thanks. IF you from Universiti LRT Station, you can use RapidKL U88 or Metrobus 99 to the same place. can i please knw how much time it takes to go from cova square (kota damanssara) to kelana jayaa station??? and is is the nearest station?? You need at least one hour as U89 is not high frequency. What do you mean by nearest station? which nearest station? what bus should I take if I want to depart from Damansara Palm Spring Condo to Hospital Pakar Damansara? how long will be the journey if I depart from the Palm Spring Condo to damansara uptown? 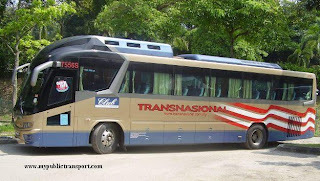 what bus should I take if I want to go Kawasan Industri Batu Caves from Genting Klang? You can use T203 from Gombak LRT station to Pinggiran Batu Caves and change to U10 to Batu Caves Industrial Zone. Does any bus go to Tropicana Medical Centre from Kelana Jaya LRT Station? Which Bus? If not which bus goes nearest to there? If you from Kelana Jaya LRT station, you can use U89 to Sunway Giza and change U88 to Tropicana Medical Centre. So actually you can use U88 or Metrobus 99 from outside of Asia Jaya LRT station to Tropicana Medical Centre so that you no need to change bus. What about from Kelana LRT to Cova Square? It is the same as above. can i know what public transport can i use from kg.dato haruun to mnc company in kota damansara? Do you Kg.Dato Harun near Petaling Jaya Selatan?If yes you can use RapidKL U66 to KWSP (near federal highway), then go to direction heading towards Shah Alam (not Kuala Lumpur) and use RapidKL U88 or Metrobus 99 to Kota Damansara . You can use RapidKL U89 from Kelana Jaya LRT station to 1Utama. You can also use RapidKL U88 or Metrobus 99 from outside of Asia Jaya LRT station. Hello, which Bus should I take to go to Kota Damansara(jalan teknologi,Segi college) from Kelana Jaya LRT station? Thanks! Thanks.There is no bus from LRT Kelana Jaya station to Segi Kota Damansara? And how long will it take to go there if I take U88 from Asia Jaya? Hi,I would like to ask that which route is faster from KLCC LRT station to Sunway University? ?Which bus should I take?and about how long the duration?? Or any better suggestion for me?? Choice number 1 is the fastest while choice number 3 is the slowest. I recommend choice number 1. 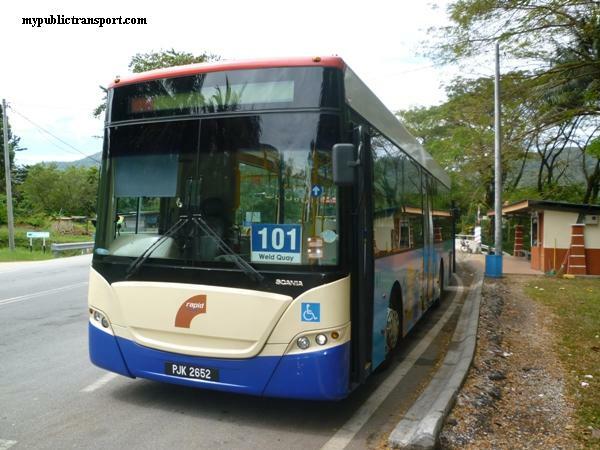 Which bus should i take to Taman Semarak, 11 Kampong Baharu Nilai from LCCT? Hi, i would like to ask which bus i should take from pelangi damansara condo to dataran prima? and how long the duration? You need to use RapidKL U89 to Kelana Jaya LRT station, then change T622 to Dataran Prima. Hi, may I know which is the most convenient option to get to Mid Valley from Damansara Utama Uptown, or if a better option is available? I've found that there is a free shuttle bus to Mid Valley from Bangsar LRT, is the timing reliable? You can use Metrobus 99 directly from Damansara Uptown to Mid Valley. How to go from Kelana Jaya to Bukit Damansara / Persiaran Bukit Kiara? You need to use LRT　KL Sentral, then use RapidKL U83 to Bukit Damansara / Persiaran Bukit Kiara. The route is only available mostly on morning and less frequency. How to go IBM (Petaling Jaya Branch)? Go from KL sentral faster or Kelana Jaya LRT Station is faster? If go from KL Sentral should be U82 right? And go from Kelana Jaya LRT Station is U89/U43? Will take bus to KL and stop at TBS. You can use KTM to Midvalley, then use Metrobus 99 to IBM near 1Utama. This should be the easiest and fastest way. hi, please advise from Kelana Jaya Medical Centre how to get to Hong Leong Assuarance at No.15A, Jalan 219, Seksyen 51A, 46100 Petaling Jaya by Rapid KL? Thank you in advance. hi, if i want to travel from kelana jaya to kota damansara mosque at jalan sepah puteri, which bus is faster? U88 or U89 bus? how long will it take? thx. If you from Kelana Jaya LRT, you can only use U89, it roughly takes 30-45 minutes. 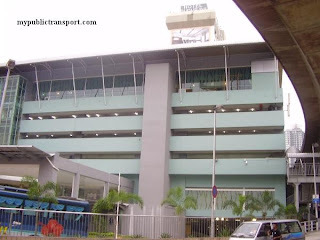 what bus should I take if I want to go Giza Mall from Tropicana Medical Centre? You can use RapidKL U88 and Metrobus 99 to connect all your destination. I want to go to SUNWAY PYRAMID(BANDAR SUNWAY)/(SUNWAY COLLEGE) from DATARAN SUNWAY(KOTA DAMANSARA)and vice versa. Can you advise me what would be the best bus and route to take? Thank you Sir. You can use RapidKL U89 to Kelana Jaya LRT station, then change RapidKL U623 to Sunway Pyramid. How much bus fare if I take U 88 from ALPHA MEDICAL CENTRE to TROPICANA MEDICAL CENTRE? How much bus fare if I'll take U 88 from ALPHA MEDICAL CENTRE to TROPICANA MEDICAL CENTRE? 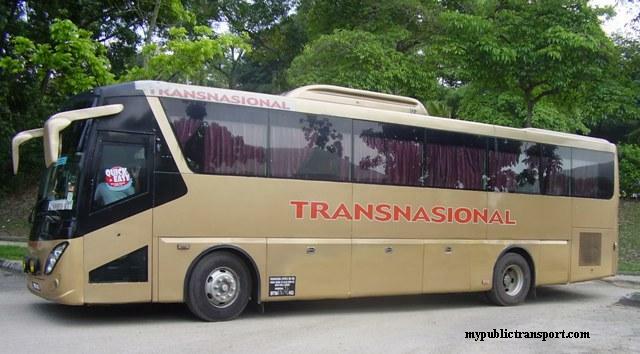 may i know is there any buses that will pass by public mutual persiaran industri, sri damansara business park? may i also know how to get to the nearest lrt station from pelangi condo kota damansara or metropolitan condo damansara? RapidKL U8 and U86 pass by Lebuhraya Selayang Kepong which is near Persiaran Industri. 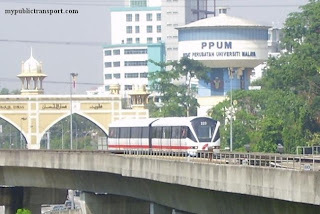 From Pelangi Condo, the nearest LRT station are Kelana Jaya, Taman Paramount or Asia Jaya station. You can use RapidKL U89 to Kelana Jaya while RapidKL U88 or Metrobus 99 to Asia Jaya. is T627 available in asia jaya lrt station? or will it passby section 17? You can get it from taman paramount Lrt station. how to go sunway giza mall from bukit bintang? You can use Monorail from Bukit Bintang to KL Sentral, the walk to Mobil for RapidKL U88 or Metrobus 99 to Sunway Giza Mall. Hi May I know how to go 1Frist Avenue building from kelana jaya lrt station or from any lrt station? i am going from masjid jamaek. You can use RapidKL U89 from Kelana Jaya LRT station to First Avenue near 1Utama. Hi, may i know how to get to segi university kota damansara from kl sentral? How long is the trip? You can use RapidKL U88 or Metrobus 99. It should take you roughly 1 hour plus. Hi, can i know how to go to pelangi square from kelana jaya lrt? You can use RapidKL U89. From Pandan Indah you can use LRT to Kelana Jaya (Transit at Masjid Jamek station), then use RapidKL U623 to SUnway College. 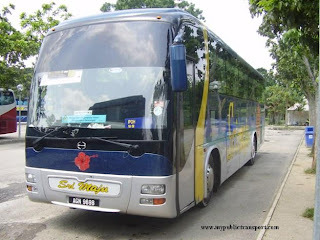 can i know what bus should i take from kota damansara jln kenyalang 11/3 to segi college?? can i know what bus should i take from kd jalan kenyalang 11/3 to segi college? You can use RapidKL U89 to Persiaran Surian, then go opposite for RapidKL U88 to Segi College Kota Damansara. Hi, how can I reach KWSP office (Kepong) from Kota Damansara? You can use RapidKL U88 or U89 or Metrobus 99 to 1Utama, then use RapidKL U86 to Jusco Kepong. kWSP is located not far from there. hi, can i know what bus should i take from d'rimba apartment kota damansara to KPMG tower near one utama? thank you. how about the frequency of the bus there. 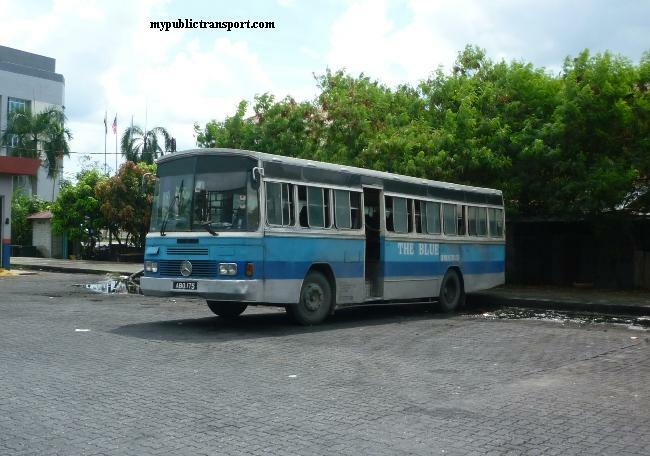 eg: how many bus per hour? hi.. may i know is there any bus from Bank Utama to Kelana Jaya LRT or directly to KL Central? How much the fare.. thx.. Which Bank Utama do you refer to? hi admin,can i know sunway pyramid how to get to hong leong assurance seksyen 51a? or if i travel frm taman paramount lrt and take T627 will be more near? Yes you should go to Taman Paramount LRT station and use RapidKL T627. Another choice will be RapidKL U84 from Universiti LRT station. Hi, I'm a student at IIUM Gombak. I want to go to the the address "ECS ASTAR, Lot 3, Jalan Teknologi 3/5, Taman Sains Selangor, Kota Damansara, 47801 Petaling Jaya". How to go to Lot3, Jln Teknologi 3/5, Taman Sains Selangor, Kota Damansara, from IIUM Gombak? what bus i need to take from kelana jaya LRT station to segi college kota damansara campus? You need to use U89 to Persiaran Surian and change to U88 to Segi College. This should takes you roughly 1 hour. Which bus should i take to reach Segi Kota Damansara form York, Jalan SS 21/1, Damansara Utama? You can use RapidKL U89, it takes roughly 15 minutes. hi, is there any buses to hong leong assurance at PJ city development? The bus not really go into Hong Leong Assurance, you need to use RapidKL U84 or RapidKL T627 to Jalan 225 and walk there. Hi how can I reach Mutiara Damansara, Jalan PJ7/3, using public means? Am now in Setapak. You can use LRT from KLCC to KL Sentral, then use RapidKL U88 or Metrobus 99 to Riana Green Condominium. It should takes you 15 minutes for LRT and 1 hour for bus. How to go to pelangi utama condo, bandar utama via bus from lrt kelana jaya. Ad how long does it take? Thank you. The bus usually comes every 45 minutes and the last bus is 10.30pm. You can use RapidKL U89 and the bus takes roughly 20 minutes journey. If I stay at Palm Spring, how can Im going to Jalan Teknologi 3/5, Taman Sains Selangor? If by cab, how much it spent? You can use RapidKL U88 from Palm Spring to Jalan Teknologi. Kota Damansara, PJU5, 47810 - P.J. You can use RapidKL T624 to Kelana Jaya LRT Station, then use RapidkL U89 to 1Utama, last use RapidkL U88 to Jalan Teknologi 3/1. how can i go to casa indah condo or anything near it like segi college from lrt kj station? Firstly take the u89 bus right? then where should i transit? You should not stop at Kelana Jaya LRT Station if you want to go to Segi or Casa Indah. You can stop at Asia Jaya or Taman Paramount and walk to main road for U88 or Metrobus 99. Hey. From Kelana Jaya Staion how do i get to Sunway College. And how long is the journey. You can use RapidKL U623. You need about 30 minutes. Thank you so much.What abt coming back time ? Is the same bus ? How frequent does the bus comes at Kelana Jaya Station. Every how many minutes the bus is there to go to Sunway College. For return journey, it is the same bus and wait at the same place you get down just now. This U623 comes with 30 minutes frequeny and 30 minutes average travel time. If there is no traffi jam, it can be in 15 minutes. Thank you very much. Last question how long thus it take from bangsar lrt to kelana jaya station using lrt? How do i travel from bangsar lrt to sunway college ? The method is simple, but you may use up more than 3 hours. You can use RapidKL U8 to Medan pasar, then walk to Pasar Seni for RapidKL U88 to Segi Kota Damansara. You should use taxi instead. Hello! Thank you for doing such a good job! Could you please advise how to go from Sunway Pyramid to 'Jalan PJU 5/20A, The Strand, Kota Damansara'? You can use RapidKL U623 from Sunway Pyramid to Kelana Jaya LRT Station, then change to RapidKL U89 to Persiaran Mahogani, near Strand Mall, Kota Damansara. Thanks. Is that Dataran pelangi near Jalan Masjid, if yes you can use RapidkL U89 to Damansara Uptown, then walk over the river to Dataran Pelangi. It should takes you about 30 minutes. Very jam at morning and evening. How to go to Jaya Grocer, No 2G-6G, Jalan Mutiara Tropicana 3, Mutiara Tropicana PJU 3, 47410? You can use RapidKL T622 from Kelana Jaya LRT Station to Taman Mayang, but then you need to walk for a long distance about 1.5km to your destination. Hello, can u please guide me how to get to jalan ss21/60 (near ocbc) from seksyen 2 shah alam? How bout return journey n how long does it take to arrive there? How frequent is the transportation? i found that U75 can reach Hospital Assunta but what if i want take bus from Assunta back to LRT or Pasar seni? 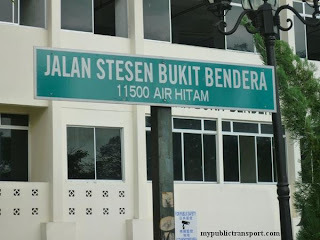 seems there is no bus pass by from Assunta hospital to Pasar seni? And, if i want go Hospital Assunta from Ikea area, which bus i should took and transit to Hos. Assunta? You can use RapidKL U80 from Shah Alam to Asia Jaya, near Federal Highway, then go to opposite direction to use RapidKL U88/Metrobus 99 to SS21/60. There is an easy method. You can use LRT from Pasar Seni to Taman Jaya, then use T505 to Assunta. Then when return, just go to the place which is opposite to the stop you get down just now and use T505 back to Taman Jaya LRT Station. Hi, how can i get to Giza in Dataran Sunway from Kelana Jaya LRT? How much is the fare ? Do i need tp switch bus? You can use RapidKL U89. It should cost you Rm1.90. may I know how long does it take from One u to KElana Jaya during office ending hour? You need roughly 1 hour. You need to use RapidKL U89 to 1Utama, then use RapidKL U86 to Metropolitan Square. If you from other places, you should not go to Kelana Jaya LRT, you can just use RapidKL U88/U82 to 1Utama and then use U86. Please use KLIA Transit to KL Sentral, then use RapidKL U88 or Metrobus 99 to Surian Tower. Hi do u have any info regarding the shuttle bus to hong leong assurance at pj city development? If by rapid bus, where is the bus stop at? Hi, you need to go to Taman Paramount station and use RapidKL T627 to Jalan 225, then walk to Pj City Development. You can choose to use RapidkL T607 or T624 to Kelana Jaya LRT Station, then use RapidKL U89 to Damansara Uptown. 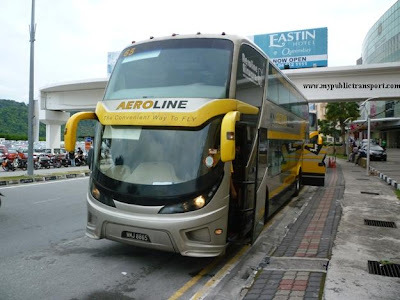 Any bus to Kelana LRT from around Centrepoint, BU? How frequent does those bus come by (any peak/low time)? You need to walk to 1Utama, bus stand near LDP highway, and use RapidKL U89, it comes every 45 minutes. Therefore, to speed up your journey, just use U88 or 99 which comes every 15 minutes to Taman Paramount (you need to walk to the LRT station), then use LRT to Kelana Jaya. Hi there how do I get to the Royal Theater Selangor, Jalan Persidangan, Seksyen 14, Shah Alam, from any lrt/komuter station? Hi, you can use RapidKL U80 from either Pasar Seni, KL Sentral, Bangsar, Abdullah Hukum or Universiti LRT Station to Shah Alam bus terminal, then walk to Royal Theater Selangor. Hi there! How do you get from jalan universiti to Tropicana Medical Centre? The fastest route. Thanks! Hi, you can use RapidKL U85 or Metrobus 12 to Federal Highway, then cross to KWSP and use RapidKL U88 to Tropicana Medical Centre near Jalan Teknologi. I have 2 questions. I hope you don't mind. 1. What transport can I take from Casa Tropicana to The Strand Mall? How long will it take on a weekday? 2. On a weekday, how long will it take me to travel from the Pelangi Damansara bus stop to the Sunway Giza Mall via bus? 1. You need to use Taxi for this. Else you need to use RapidKL T622 to Kelana Jaya LRT Station, then use RapidkL U89 to the strand. It takes about 1 and half hour. 2. It is roughly 10 minutes. hello how do I get to the strand kota damansara from bukit bintang? and how much will it cost one way by taxi & by bus? 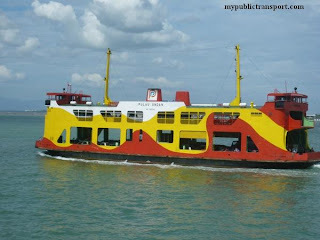 hi, how to go PJ City by bus if i stop at asia jaya train station? Hi, you need to stop at Taman Paramount station and use RapidKL T627 to PJ City Development. Hi, you can use RapidKL U88 or Metrobus 99 from KL Sentral, Universiti LRT, Asia Jaya to Dataran Sunway. Hello, how can I get to Segi Kota Damansara from Wangsa Maju LRT Station ? Hi, you can use LRT from Wangsa Maju to Asia Jaya Station, then use RapidKL U88 to Segi Kota Damansara. Okay thanks, is that the fastest way to get there ? 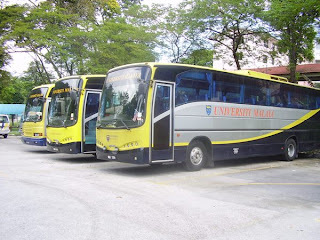 sir please tell me which bus goes from segi kota damansar to johor bahro ,utm . Hi, you can use RapidKL U88 or Metrobus 99 to KL Sentral, then use KTM or KLIA Transit to TBS. From TBS, use express bus to Sri Putri, then use taxi to go in UTM. 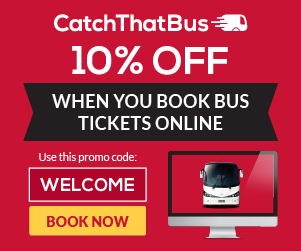 You can obtain ticket from our booking tool. How do I get from SEGi University to Tropicana Shopping Mall? I need to get to this place which is opposite the shopping mall, 37 ss 22/38 Damansara Jaya PJ, Selangor. You can use RapidKL U88. how do i get from segi university to sheksyen 7,shah alam?? Hi , you can use RapidkL U88 to Federal Highway, then use RapidKL U80 to Shah ALam bus terminal, last use RapidKL T601, or U90 to Section 7. Hi, you can take RapidkL U80 from Shah Alam to Asia Jaya Federal Highway, then take RapidKL/ U88.Metrobus 99 to 1Utama, then walk to Centre Point. hi, can i ask how to go to bursa malaysia via public transport from kl sentral? 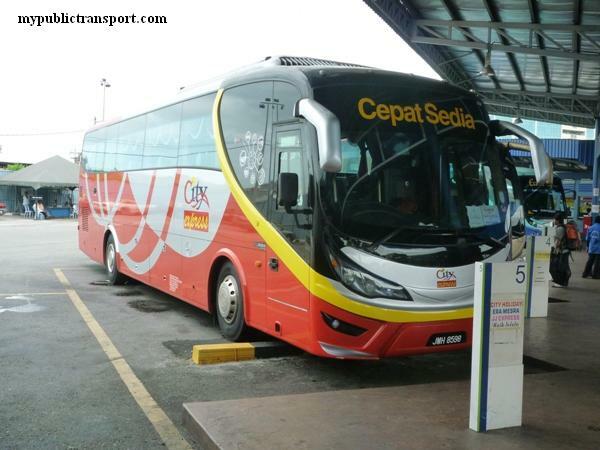 any bus direct to bursa malaysia or anywhere near to bursa malaysia? thanks. Hi, you can take RapidkL B112 from KL Sentral to opposite of Puduraya, then walk up Jalan Pudu Lama to Bursa Malaysia. hi, how do I get from damansara damai to kota damansara? Hi, you need to take RapidKL U8 from Damansara Damai to Kepong Sentral/Persiaran Kuala Selangor, then take RapidKL U86 to IKea, last take RapidKL U88 to Kota Damansara. Hi, I'm wondering how to I get to Encorp Strand Mall by bus from Kelana Jaya Station? Is U88 or U89 a better option? Hi, you can take either U88 or U89. If you are from Kelana Jaya Station, then you can only take U89. U88 comes with higher frequency. Ahh okay. Where should I get off if I'm taking U89? You can get down near to Tune Hotel. U89 comes every 30-45 minutes. Ahh thank you! One more question.. How long does it take for the bus to reach near Tune Hotel from Kelana Jaya LRT Station between 6-8pm? Hi, 6 to 8 pm is the most jam time, you may wait at Persiaran Surian to take either U88, U89, Metrobus 99 to the nearest LRT station instead of just wait for U89. It takes about 1 hour. Hi, you can take RapidKL U88, U89, or Metrobus 99. Those buses comes every 15-20 minutes on average. Hello.. may you help to guide me how to reach 1 tech park building from kelana jaya station. And the frequency of that bus.. how to reach lrt station from centre point damansara. 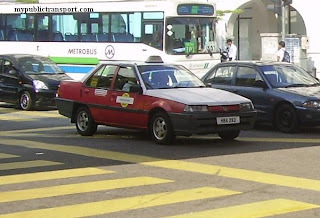 Hi, You need to take taxi to 1 Tech Park or from Centre Point because there is no bus near the area. The nearest is 2-3km away. Hi hello, um if im taking the U88 from Asia Jaya to Segi Damansara, where should I stop ? Hi, you can stop near to Jalan Teknologi. 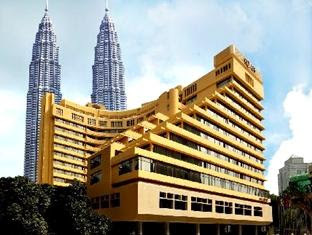 Hi, may I know from bangsar lrt how to go to Lotus Five Star- Shaw Centrepoint. And how long is the journey? Hi, you can take U84, U85 or others to Mid Valley, then go to opposite of KTM station, over the Federal Highway to take Causeway Link 58k, Cityliner 710, Seranas 99 to Shaw Centrepoint. Hi, may I know which is the easiest way to go Merchant Square @ Tropicana, PJU3 from Wangsa Maju LRT? I understand there may no public transport pass through PJU3, but I can take taxi to my destination from the nearest bus stop. Thank you. 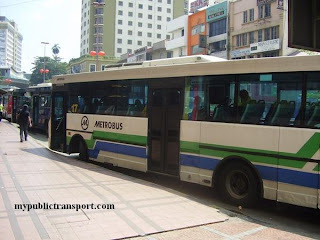 Hi, you can directly take RapidKL T622 from Kelana Jaya LRT Station to Merchant Square without using taxi. Hi again, if im going to Taman Melawati jalan M from Wangsa Maju LRT Station which bus should I take?